The scholarly amongst you will know I have adapted the title from John Kotter’s seminal article Why Transformation Efforts Fail – you can see a precis of this http://hbr.org/2007/01/leading-change/ar/1l. Bearing in mind it is 16 years old, Kotter’s messages still ring true and I would commend his ‘Eight Steps’ to anyone embarking on a transformation programme. Taking the thrust of Kotter’s thinking as given, the challenge of designing and achieving transformation in particular sectors/industries does need special consideration. Local government has been my professional passion for 20 years and as such, I have come to know (and love) its peculiarities, strengths and drawbacks. 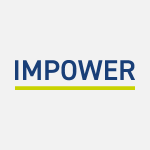 Upon joining IMPOWER almost 18 months ago, I found a group of people who shared my frustration with some of perceived transformation wisdom in the sector – and so we set about completely redesigning the model for how it is achieved. This article is not really a plug for IMPOWER though, so I am just going to share with you some of the principles upon which our thinking was based. I do not have an empirical transformation success/failure study in local government to draw from, but anecdotally, and based on some of my experience prior to IMPOWER, it seems to me to be absolutely the case that many programmes fail. It also seems to me that many succeed, and many fall into a middle place where a combination of re-invention, re-badging and re-organisation has allowed a new baseline and version of the truth to be established. Practical visioning: There are some examples in the sector of where the vision has outstripped the reality of achieving it. And whilst we need ambitious visions, we also need people in the room who understand the practicalities of getting things done, especially when this means negotiating an entirely new relationship with the private and third sectors. We would be delighted to hear about what you would add, subtract or even agree with on this list. Transformation programmes in local government offer a real basis for changing the sector, and it is vital we get it right.